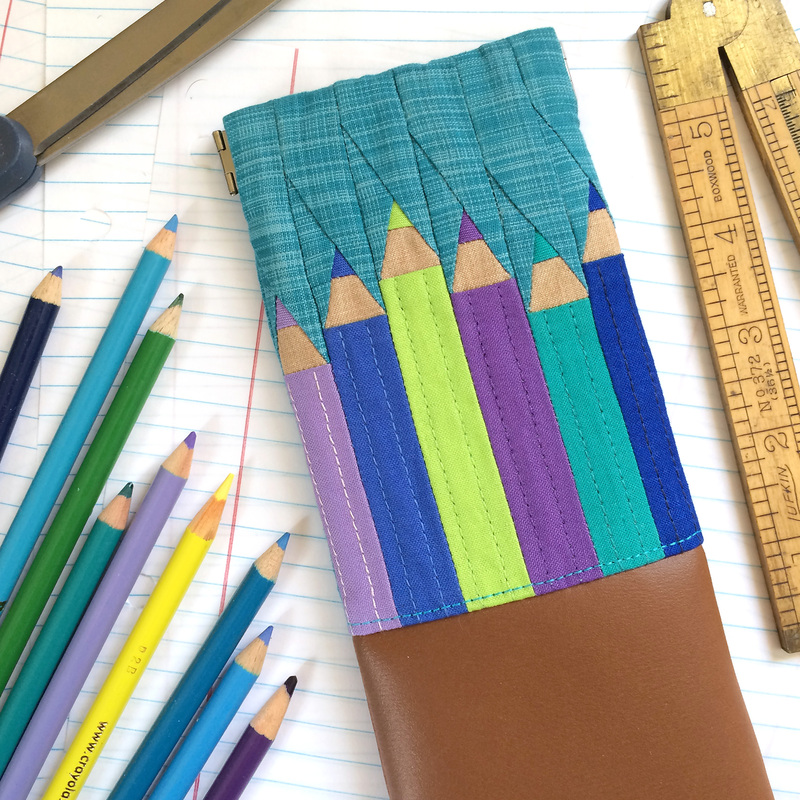 A couple weeks ago I shared my Flex Frame Pouch pattern on fabric.com during their Passport to Summer series for a back to school project. Some of you may recognize this from Make Modern Magazine and the Swapaholics Retreat, and now you can download the free pattern, too. 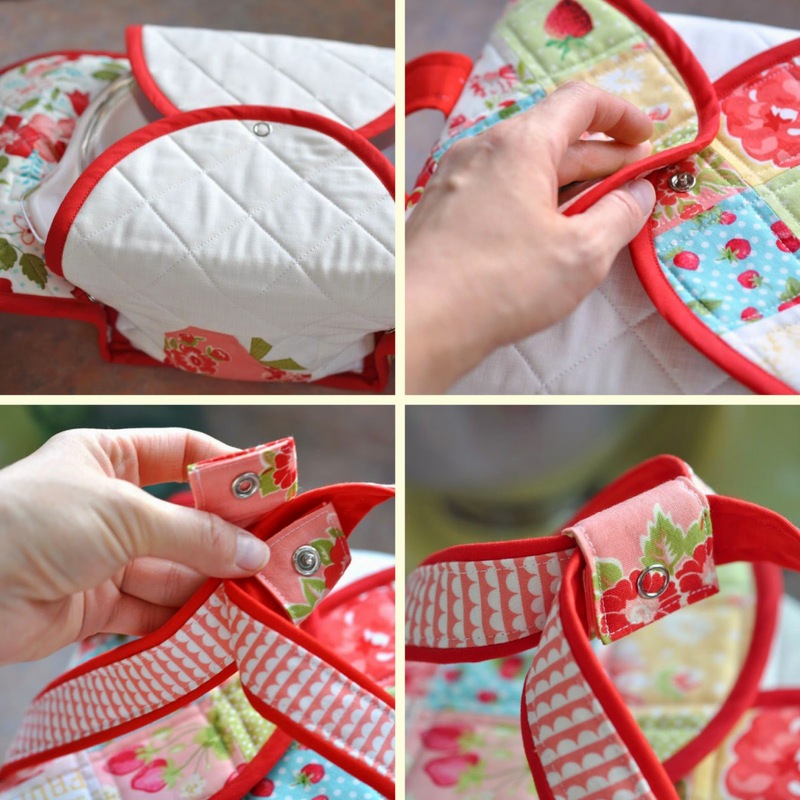 Flex frames are an awesome alternative to zippers and are super easy to use! 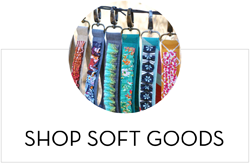 You can find the 3.5″ frames used in my pattern on fabric.com, and you can also order bulk frames (10 or 50) in 3.5″ and 4.5″ (which I love) from ahkwokbuckles.com. 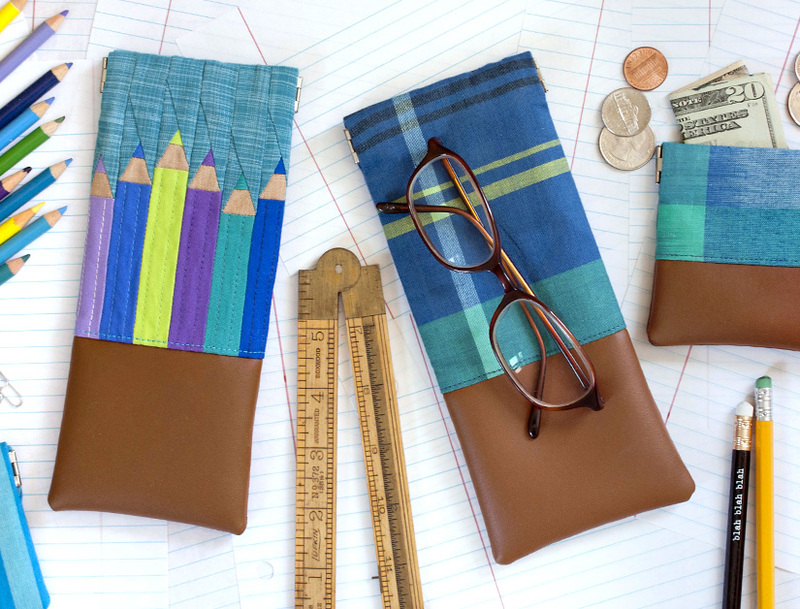 The pattern includes directions for making the tall pouch, which is perfect for glasses, pencils, or a rotary cutter, as well as the small coin pouch, both shown above. 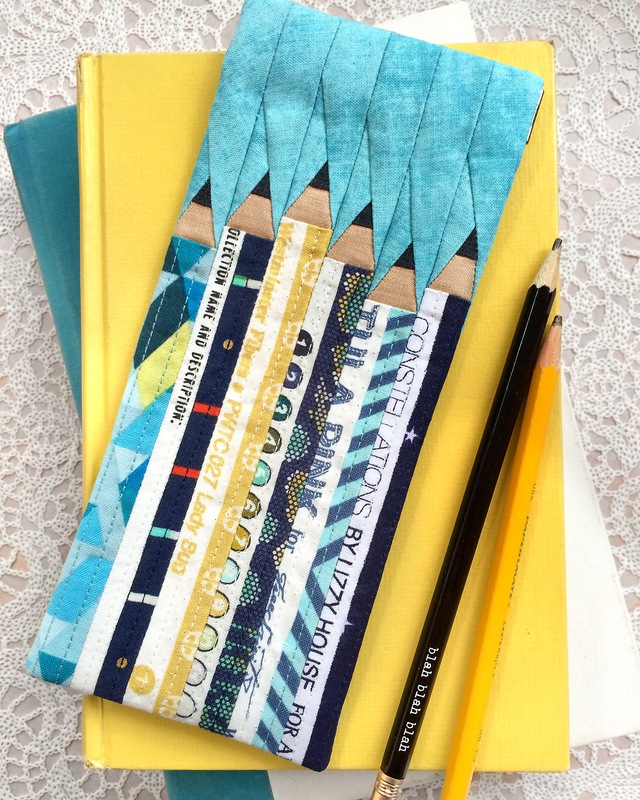 Also included is the Write On pencils paper piecing pattern to create the options shown below. 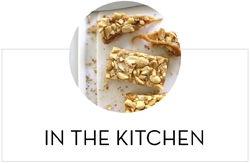 It can be used with the bottom accent or made into the full pouch. The pencils can also be used for a variety of other projects, too. 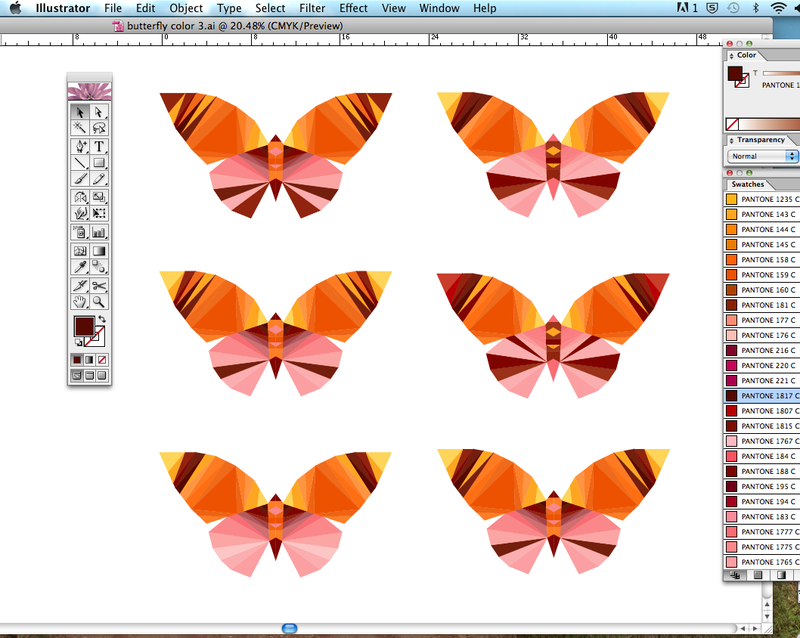 It’s easy to resize the pattern or add more pencils or other elements to the pattern. 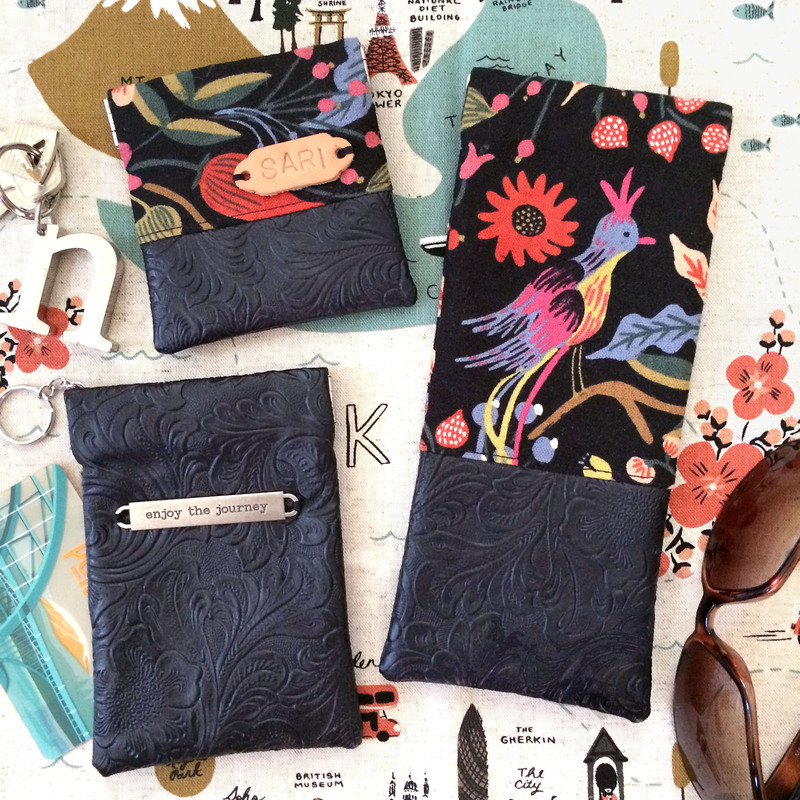 In the pattern I talk a bit about how to customize the pouch to any size you wish, and wanted to share a few more variations here today, including how to make a perfect gift set for anyone of any age! 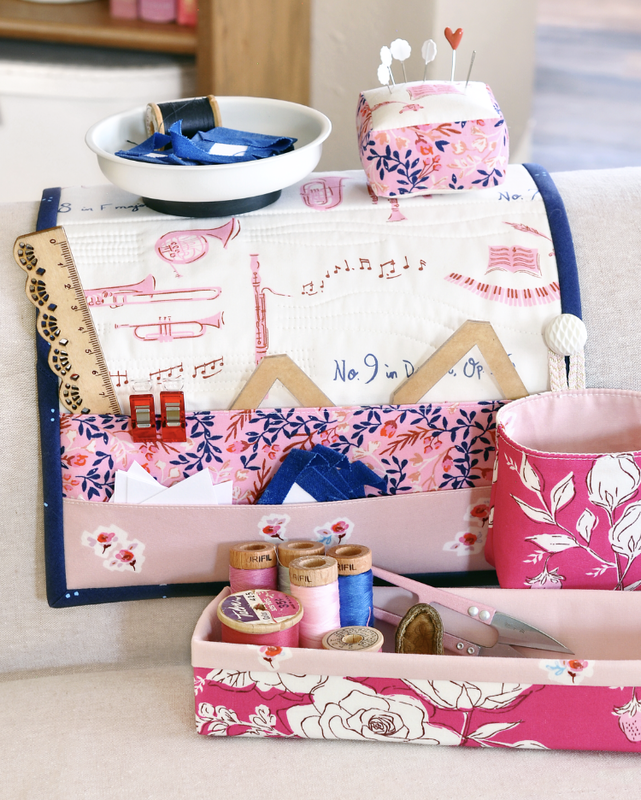 The set below shows the two sizes included in the pattern, plus a third size which is perfect for carrying cards and cash. 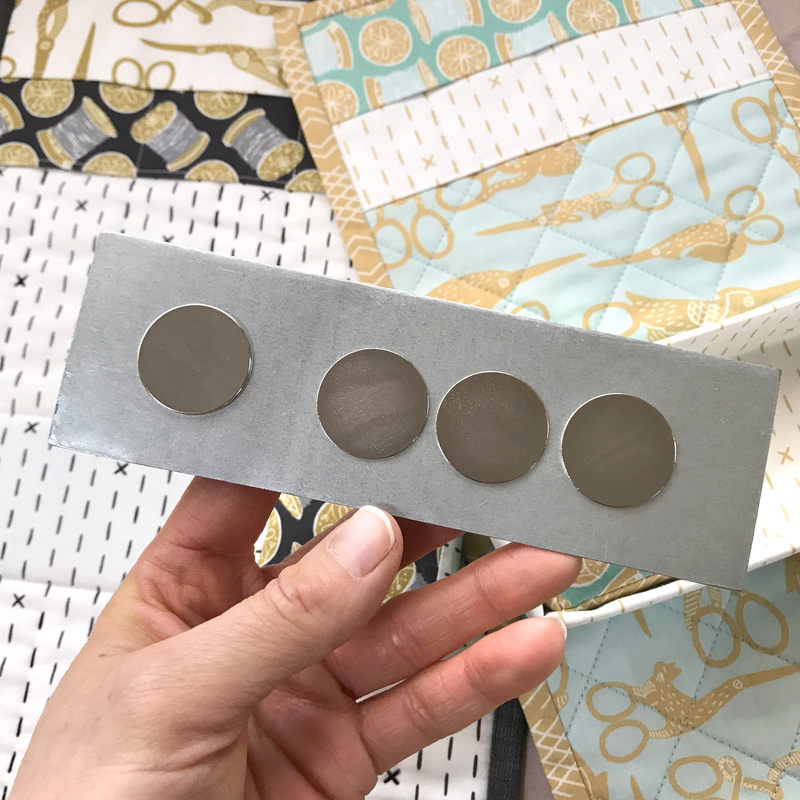 To create this third size, cut the pieces for the top of the tall pouch as indicated in the pattern (6.5″), but do not include the bottom. Then just cut the lining pieces to the same height and assemble. Consider personalizing the pouches with fun notions, such as stamped leather tags or decorative accents. Hmmm, I wonder who these are for?! I found the metal plate accent in the paper crafting section of Hobby Lobby. It is Tim Holtz brand. Also, adding a short chain and key ring makes any pouch the perfect grab and go wallet. I tried a few options and positions and decided that I preferred sewing the chain to the inside of the pouch right below the frame sleeves, as shown below. This way the chain and ring can be kept inside or pulled out through the top and the frame closing gives it some added security. 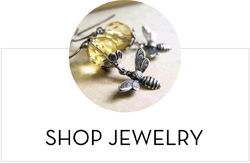 You can find a variety of chains and rings in the jewelry section of any craft store. 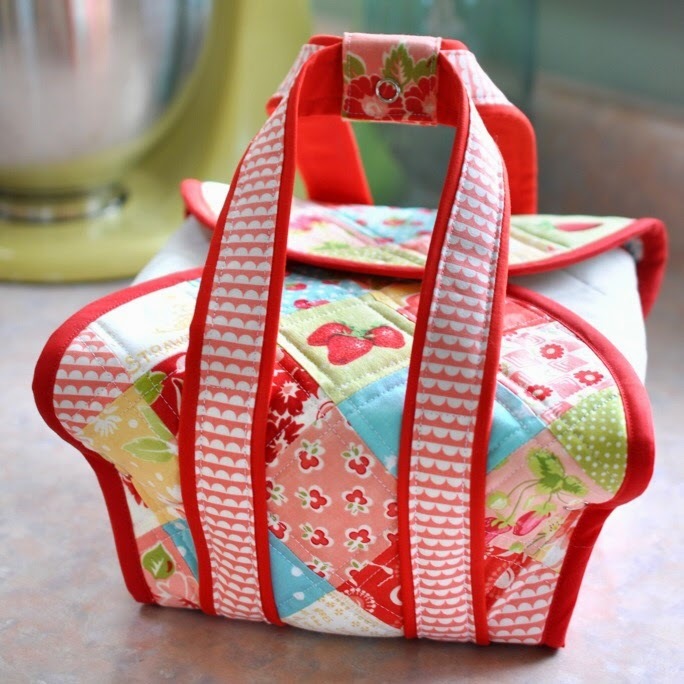 This is a fun pattern that can be customized in so many ways, with any of your favorite materials or patterns. 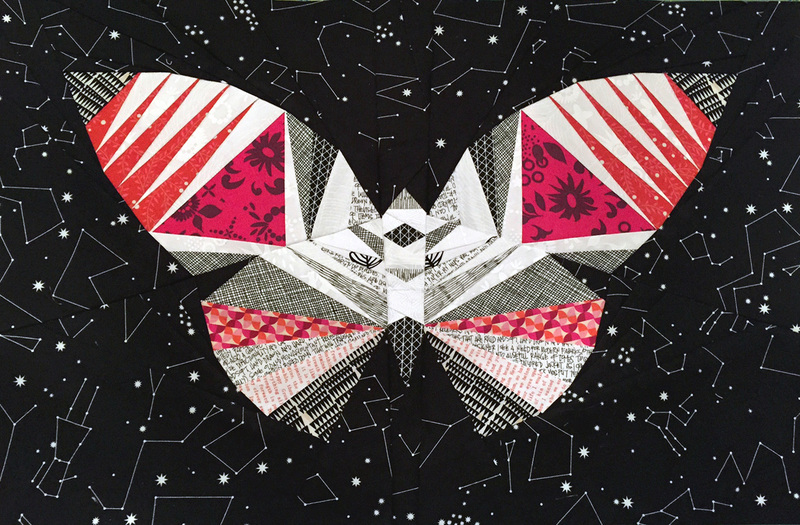 Try a quilt block design you like, another paper piecing pattern, or even some selvedges. If you would like to use the 4.5″ frames (or any other size you may find), simply add the additional width to the cut sizes of your pieces. 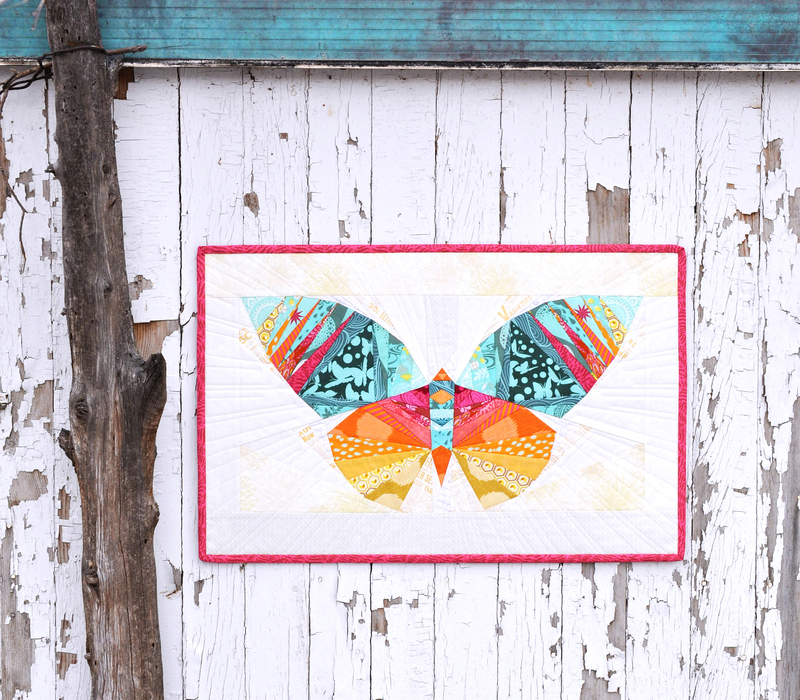 For example, if using a 4.5″ frame, vs the 3.5″ used in my pattern, simple add 1″ width to all your pieces. 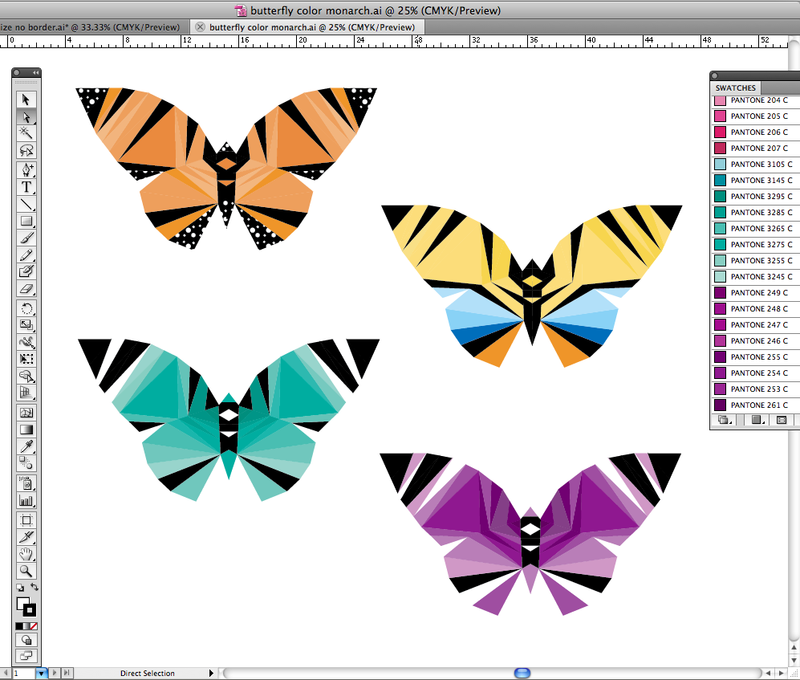 I’ll be sharing more sizes, shapes, and ways to play with this pattern over the next months, too, so stay tuned! 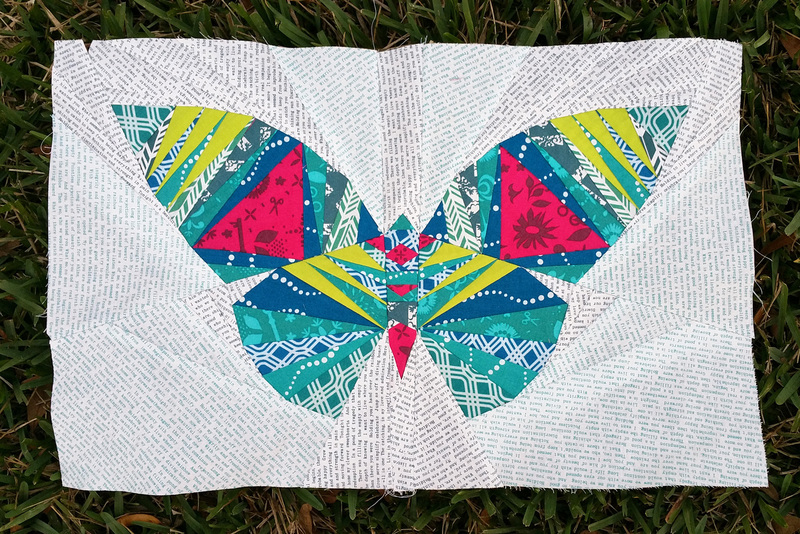 Please tag your pictures with #FlexFramePouch and #WriteOnPattern so I can see all your awesome creations! 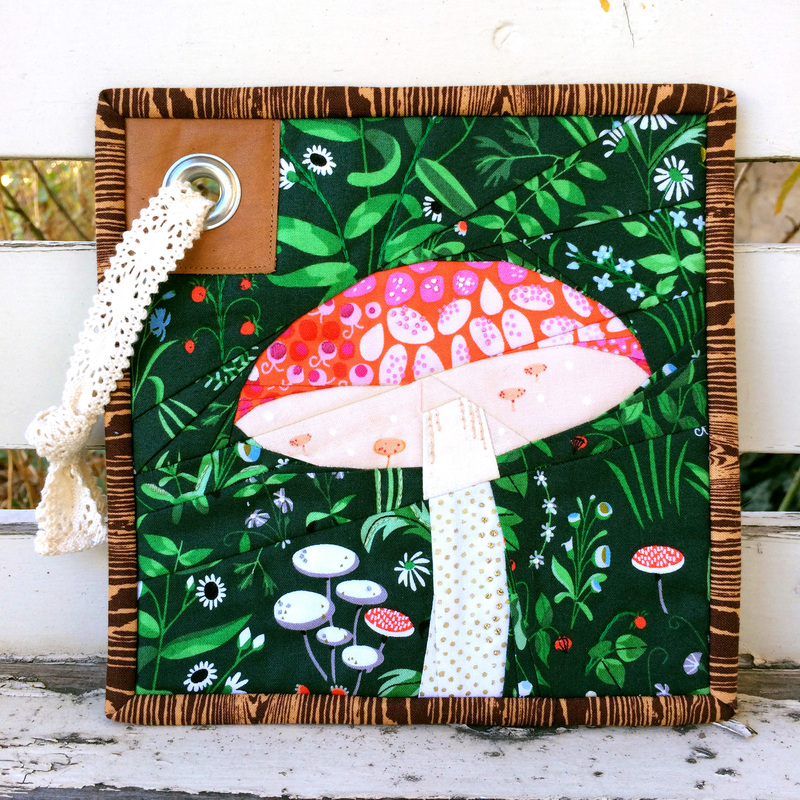 This Dressed Up Hot Pad features my Forest Floor Paper Piecing pattern but you can use your favorite patchwork block or even a single piece of a fun fabric. 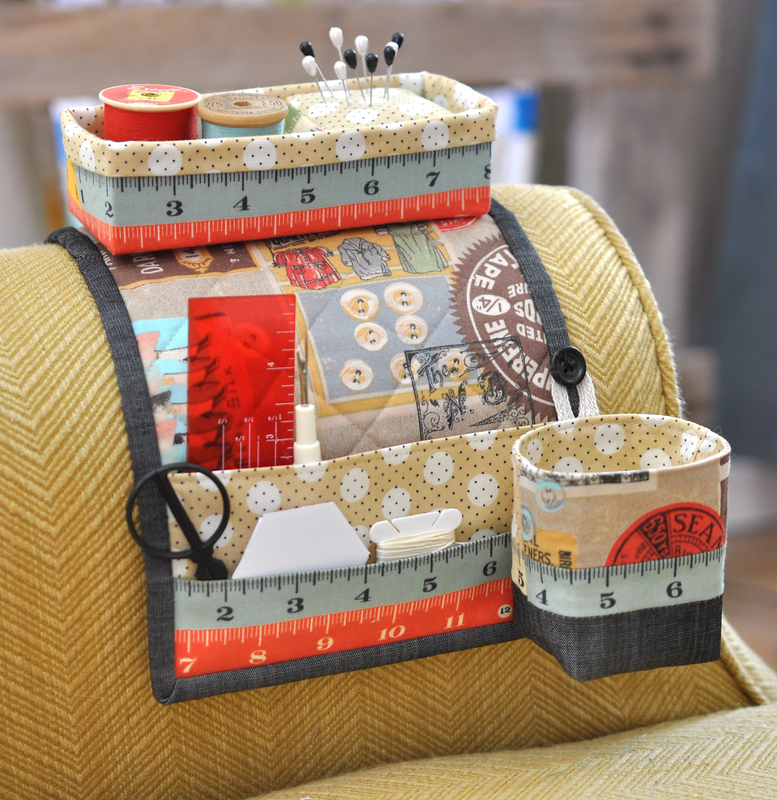 It sews up quick and the accents make it extra special. 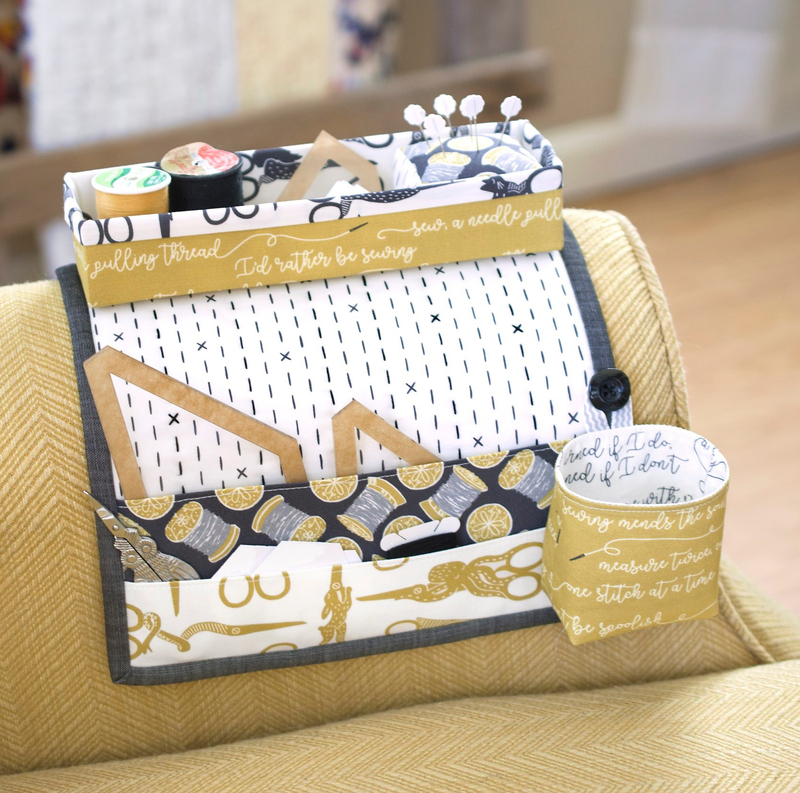 I purchased my grommet kit from Walmart in the craft section, but you can also find them at any craft store or online. If you don’t have any scrap leather on hand, try looking at a second hand store for an old bag or jacket which you can cut and repurpose. 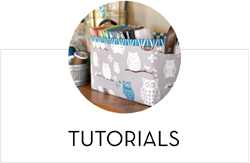 Click here or the image below to download the PDF tutorial. I hope you enjoy it! 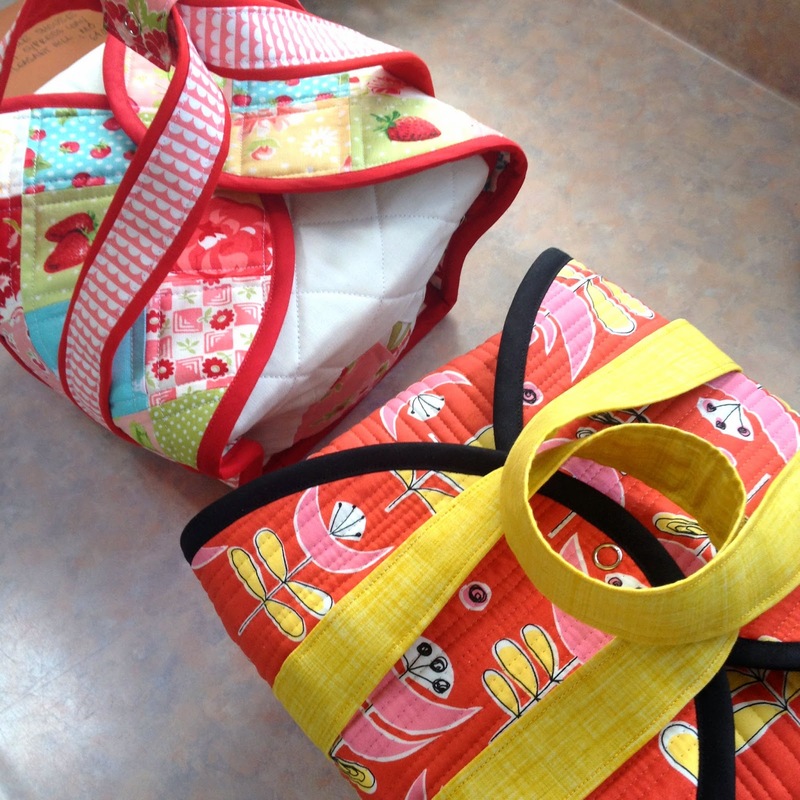 I’m just wrapping up my Take Wing paper piecing pattern and next up is the first in my series of insulated carries specifically designed for vintage Pyrex dishes. This first pattern will come with two sizes designed for the 475 (2.5 qt) and 474 (1.5 qt) casserole dishes. 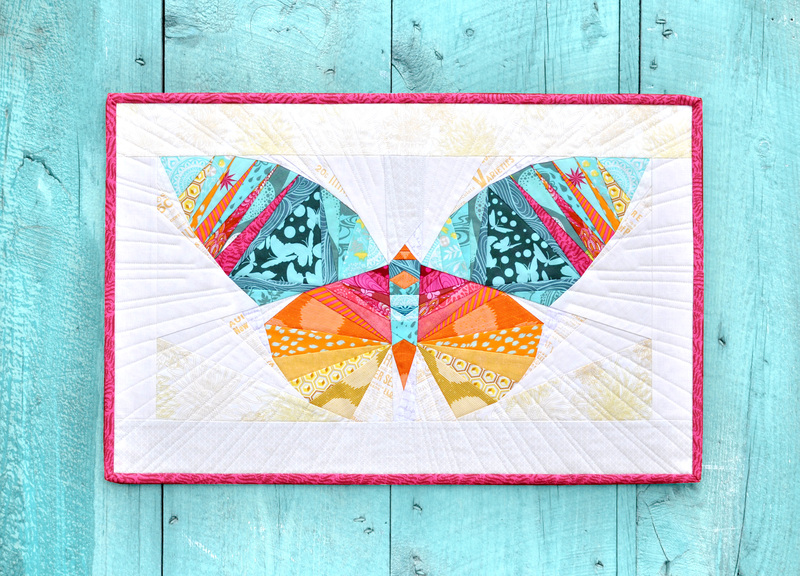 There will be two variations included in the pattern design, one for a charm square friendly patchwork design and the other with solid panels. The optional handles will also include two variations which you can see in the photo at the end of this post. 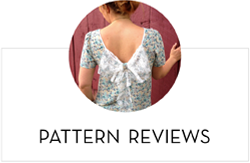 I’m looking for three to five people who are interested in testing this pattern! Overall it is a fairly simple project and I would rate it is advanced or adventurous beginner. 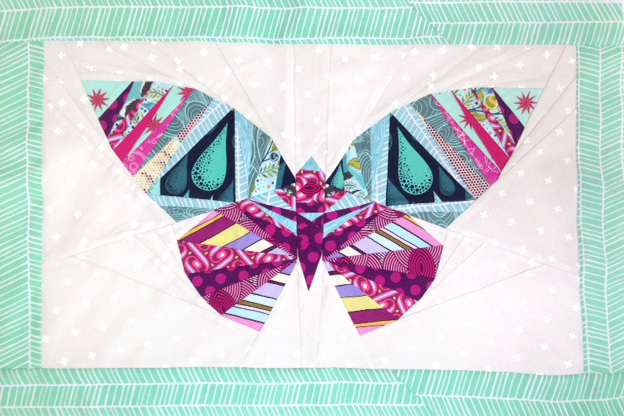 It requires quilting, the use of bias binding sewn onto curves, and the installation of snaps. You will also need insul-brite insulated lining. 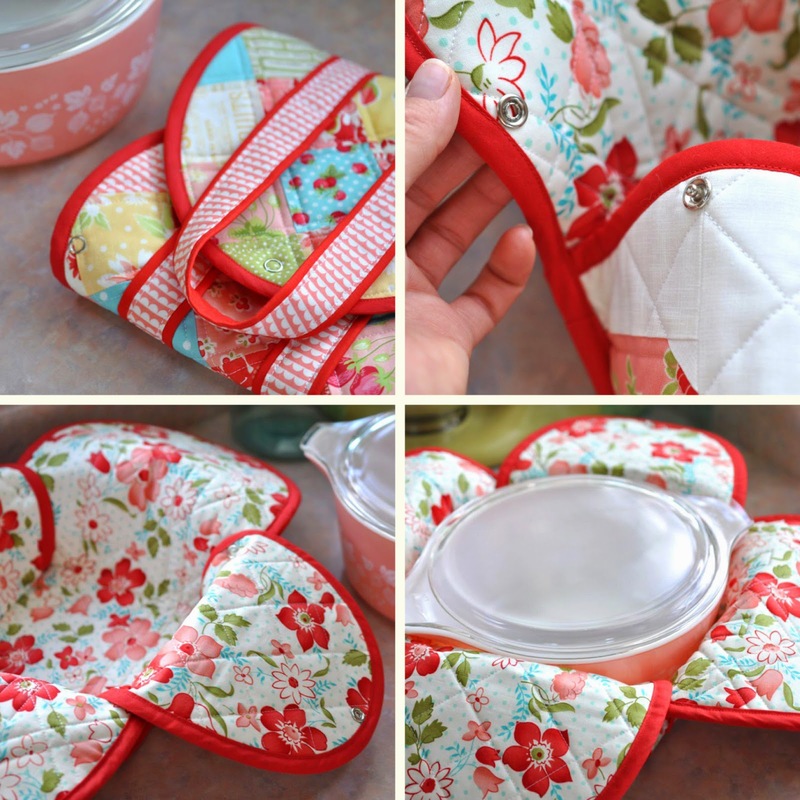 Only requirements are you must own a 475 or 474 dish with a lid and be able to complete the project within 3 weeks of receiving the pattern (which I expect to have ready by mid March). 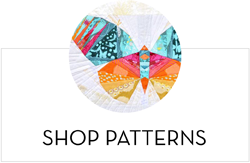 If you are interested in testing this pattern, send me a message here! Please include your sewing experience level, as well as which size and version (patchwork or solid) you would be interested in making. I will be in touch within a couple weeks. And if you don’t have either of these sizes, don’t fret, I have more to come! I’ll be working on patterns for the 043 & 045 oval casseroles, 963 oval divided dish, 023 & 024 covered bowls, 503 fridge dish and the 575 space saver.